Only a few miles to the west of Grantham along the A52, you might be surprised to learn there is a National Nature Reserve – Muston Meadows NNR. 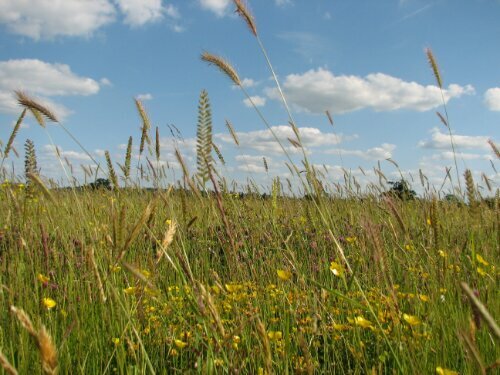 The fields are cited as one of the finest lowland meadows in England with over 30 species of grasses and over 100 species of flowering plant – this page from Natural England has further details. The meadows are possibly at their best to the end of May or early June, before the first cut, when a wealth of wildflowers including vetches, pignut, yellow rattle and pepper saxifrage as well as the beautiful quaking oat grass. However, the stand-out species of the meadows is the green winged orchid to which the reserve is home to a colony 10,000 strong. 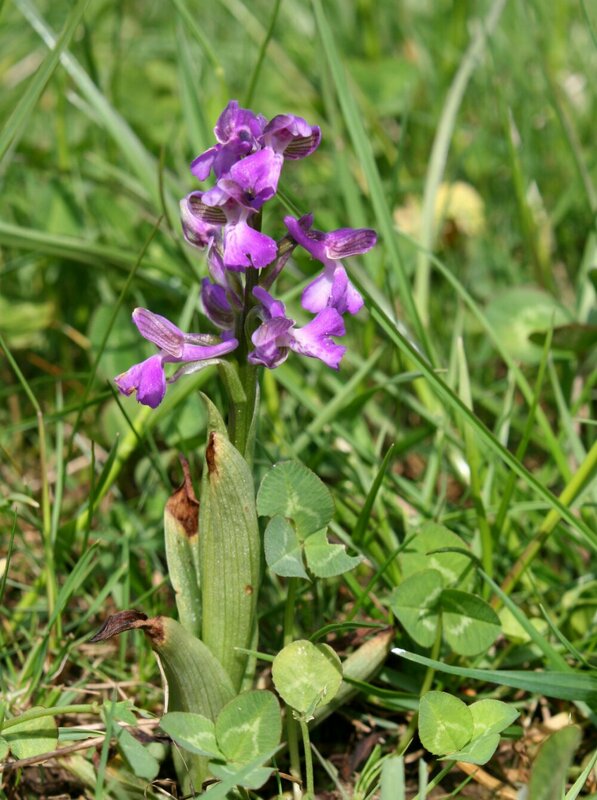 The green winged orchid (Orchis morio) is a rare species whose decline is linked to the decrease in the availability of nutrient poor grassland habitats – such as those found at Muston Meadows – in which it thrives. The green-wings refer to the green veined sepals which you can see in the image below; this differentiates the orchid from the early purple orchid which has similar purple flowers. They can also be distinguished by the lack of spots on the leaves which are notable in the early purple orchid. This specimen was low growing, perhaps only 6cm tall, so a keen eye may be required to pick them out away from the main patches. Muston Meadows can be accessed through a gate directly off the minor road between Muston and Stenwith which passes along the eastern boundary of the reserve. There was always a sign which indicated the entrance although this was missing on my visit last weekend (19th May 2013) so keep an eye out for the kissing gate opposite the entrance to the Sustrans cycle path which leads off to Redmile. The meadows are a fragile habitat and Natural England do ask all visitors to keep to the public rights of way. While you’re there, also look out for skylarks, a wealth of butterflies and hares which can often be seen especially after the first cut when the grasses are low. Next Article Horseshoe bats in Leicestershire? Never say never! Good luck, looked like they should be flowering well for a couple of weeks to come!